On this weeks blog post I have planned to speak to all you lovely brides about 1950’s Vintage Makeup. I did this Photoshoot with Elena back last summer and it was a shoot that has a very classic feel. It was held at the beautiful Shottle Hall Venue on a gorgeous summers day. 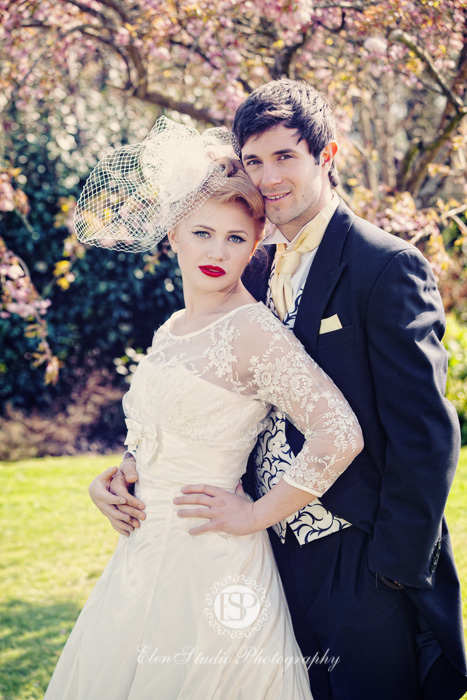 For this shoot we aimed at doing a 1950’s look which complimented the dress from ‘Baroque Couture’. From the soft round neckline to the lace arms, it fitted in perfect with the 1950s theme. All vintage looks seem to get taken back to the 1950’s, as that was an era known for the black liner and red lip. How can you forget? Vintage themed weddings are timeless and so are the make-up and hair styles, without them it wouldn’t create that themed vibe so make-up is a very important part. You want to look back at your wedding album and notice the effort put into getting your dream vintage wedding. 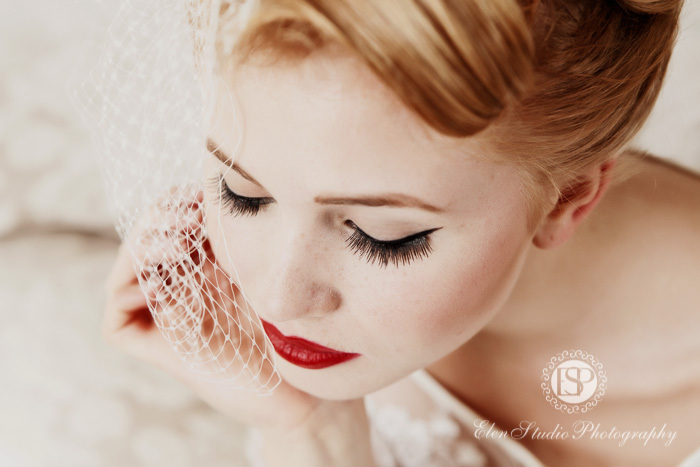 If you are a bride looking for that vintage look on your wedding day, don’t hesitate to contact me as I am more than happy to help design a makeup look that you want to achieve as well as re-creating a photo that you have maybe seen online or in magazines. This will be classed as a Bridal Trial which lets you try more than one look as a trial is all about trying out multiple looks of what suits you best as well as complimenting the face. I hope you have all enjoyed this post. Maybe it has made you consider the vintage classic look for your big day? Imagine those little accessories that gives your Vintage wedding that final touch, Beautiful. This post will contain the main trends for all you lovely brides throughout the whole of 2015, Spring/Summer to Winter Brides. This will be your inside scoop for looking bang on trend on your big day.